As useful (and as crazy thin) as e-readers can be, there's something terribly satisfying about thumbing through a sheaf of processed plant matter with words on it. 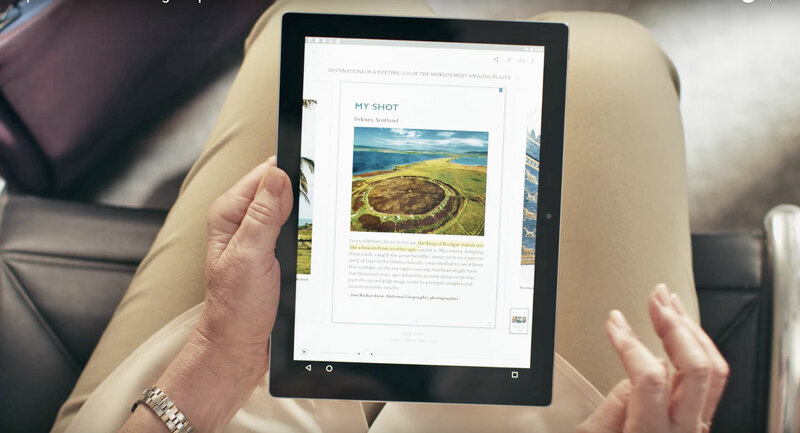 While you'll never get the same sensory experience using a Kindle, Amazon at least tried to make it easier to skim through digital books, and you'll get your chance to try it for yourself today. The feature is called Page Flip, and it's coming to Amazon's Kindle app for iOS and Android, along with certain Kindle readers and Fire tablets by way of an automatic, over-the-air update. Page Flip, in short, is basically the digital equivalent of sticking your thumb between two pages and scouting through the rest of a book looking for the juicy bits. If you're using the Kindle app on a tablet or phone, tapping on a page gives you a zoomed-out view of that page, along with a progress bar along the bottom to mark your place in the book. While you flick through the pages, a little window remains in the corner of the screen -- that's the page you just came from, and one tap brings you back to where you left off. If that doesn't get you skimming through prose fast enough, there's also a grid view option that shows off even more pages at once. Even better, page previews -- be they big or packed into the grid -- change on the fly when you fiddle with your margin, line spacing and typeface settings. Getting Page Flip to work on Kindles was a little trickier, considering the differences in displays, refresh rates and touch sensitivity. 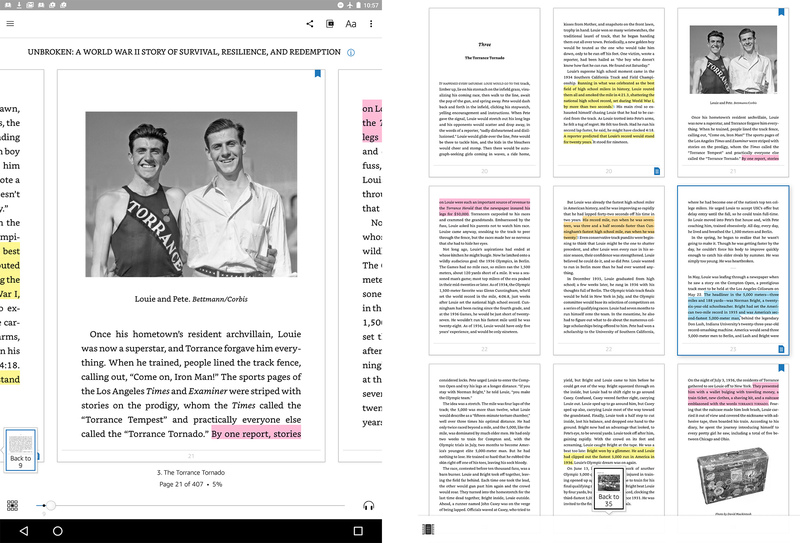 Still, the concept scales to these more basic devices without much trouble -- you'll be able to pin pages and view the grid (albeit with less detail), and there is a pair of new shortcut buttons to help you jump between chapters. Simple enough, no? I didn't spend much time with Page Flip, but there was one thought I couldn't shake while I was seeing it: this would be kind of amazing to have before you buy a book. After all, who among us Luddite bound-book readers doesn't thumb through a tome before trudging up to the checkout line? When asked, a pair of Kindle product managers declined to answer directly; they mentioned the "Look Inside" feature on book listings has been "really helpful," so I wouldn't expect much more than that for a while. Speaking of book listings, I haven't been able to find a book that isn't Page Flip-enabled, though Amazon concedes that not every digital book they carry is compatible right now.